Are you ready to be Home for the Holiday's? Sometimes after Christmas and having the kids home for a couple of weeks, we need a break from being "Home for the Holiday's!" This could be your perfect Crafting break and relaxation to get away! I have paired with the very talented Ronda Wade and we are bringing you two classes complete with extra special Pillow Gifts! You have choices! Choose between two different classes, or enjoy a 5.00 discount and get them BOTH! We also have a tutorial only option! 1. 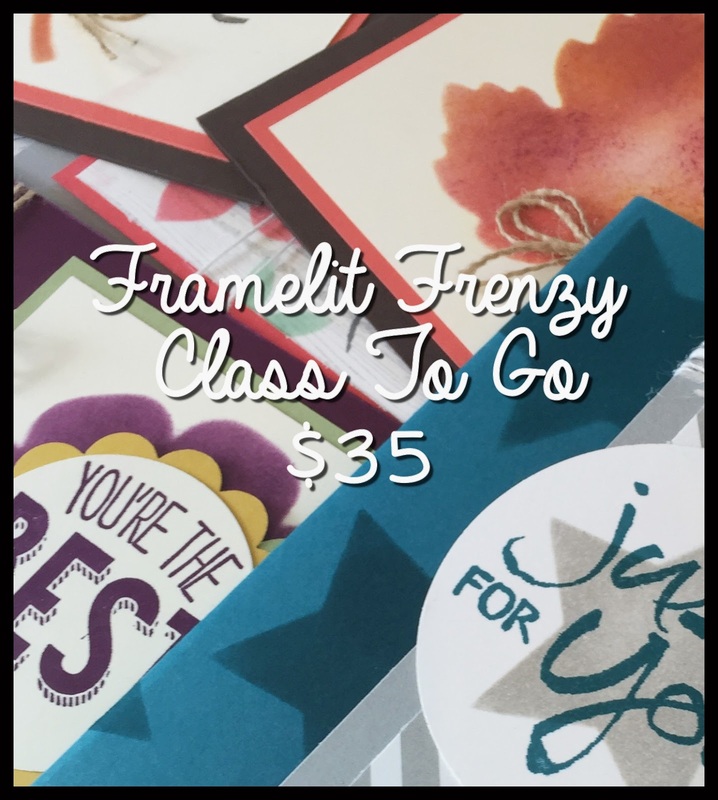 Framelit Frenzy! 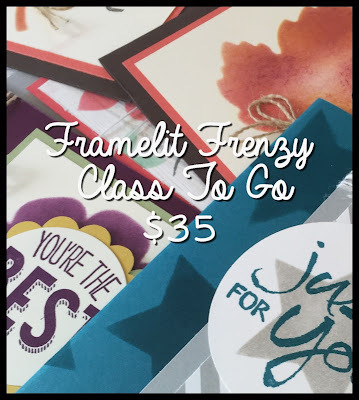 Make 8 different cards focusing on using our Framelits as STENCILS! Your kit will include the stencils, complete on a key ring so you can use them over and over again! You'll also get sponges, Two bolts of ribbon, and all the supplies you need prepped, cut, punched and ready for you to make 8 cards! You will supply your ink and stamps. Cost: 35.00 INCLUDES Priority Shipping! Includes 29.00 in product! 2. 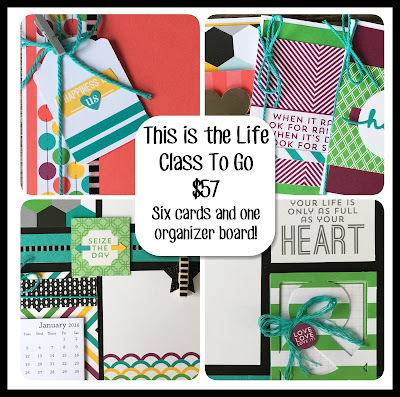 This is the Life Organizer Board and cards! Make a 12 X 12 organizer that you can use in your craft room or home ALL year long! We'll be focusing on the This is Life Project Life kit AND you will make 6 additional cards! All the supplies are included and there will be TONS left over for you to use in your own memory keeping and more cards! Cost is 57.00 which INCLUDES Priority shipping and 46.00 in product alone! Each class will have a special pillow gift for you as an added surprise! classes and the 2 pillow gifts for 20.00. RSVP deadline is only 10 days away! Last day to register for this To Go event is December 11th and all kits will mail out by December 19th. You must email me to register. Indicate which class options you want and i will send you a Pay Pal invoice. Prices include shipping!